A great Huli Huli chicken deserves a great side. But wait, this is macaroni salad, how can that be great? 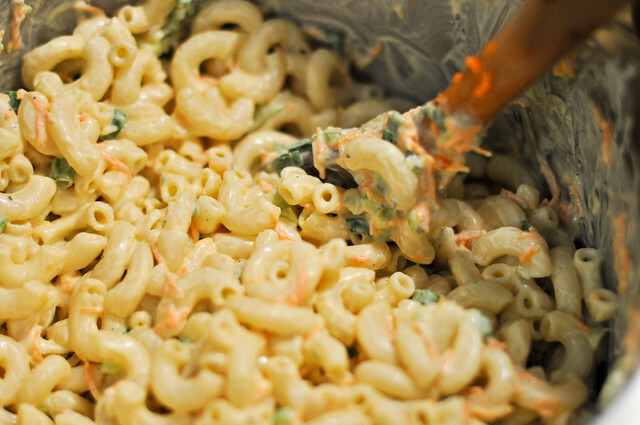 A macaroni salad hater for most of my life, I never saw much value in a bland, fatty, and mushy salad created by the marriage mayonnaise and macaroni. I've been coming around though, finding a few noteworthy mac salads here and there, and when I tried out this recipe for a Hawaiian version, it sealed the deal. So wait makes this one so much better than others, it's all in the process. 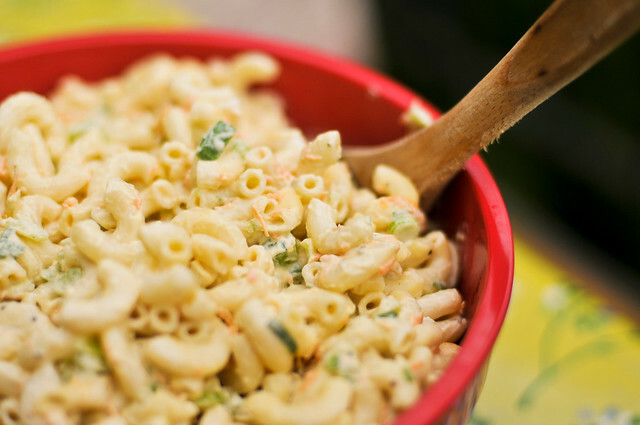 Developed by the Cook's Country folks, they broke down this macaroni salad to squeeze as much flavor into those noodles and humanely possible. 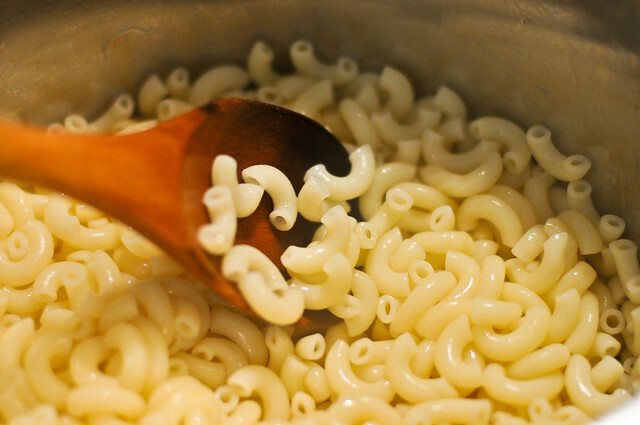 It starts with over boiling the macaroni until they're "fat." These extra soft elbows are now like a sponge, ready to asbord whatever flavor is introduced. Here, that's flavor is cider vinegar, which is tossed on the pasta right after it's been cooked and drained. Next comes the dressing. Unlike the super thick globby mayo mess I'm used to, this dressing is thinner, combining milk with the mayo, along with brown sugar, salt, and pepper. After the macaroni rests for 10 minutes, the dressing is added in. 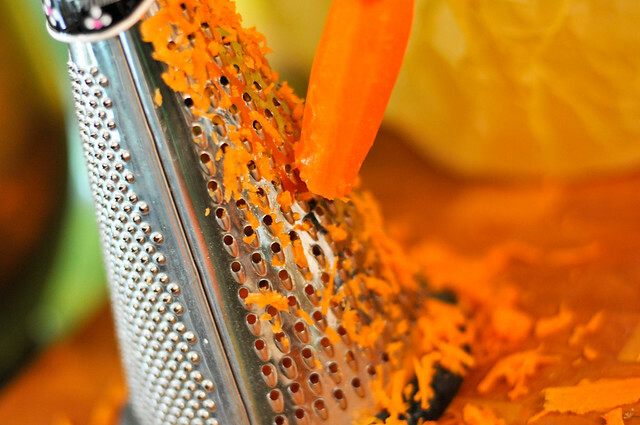 Then comes the mix-ins in the form of scallions, carrot, and celery. All are essential to a the final balance of flavors. The scallions add an oniony bite, while the carrot gives a bit of crunch and the celery lends its distinctive fresh flavor. All off this stirred together, and set in the fridge to let the flavors meld for an hour. Now this macaroni salad may not look too different on the surface, but one taste you'll know it's something special. The soft macaroni has an embedded tanginess, which combines with dressing to give a flavor akin to a white barbecue sauce. There's a fresh crunch from the carrots, scallions, and celery that gives the salad both texture and depth, rising it well above its bland brethren. Not only is this macaroni salad worthy to stand next to Huli Huli chicken, I like it so much that I've even found myself making it as regular side for my barbecue, and that's a high compliment. Throw out what you know of the bland mayo mess that too often passes for macaroni salad, this Hawaiian is designed to maximize flavor and texture to create a side dish worth to sit next to barbecue. 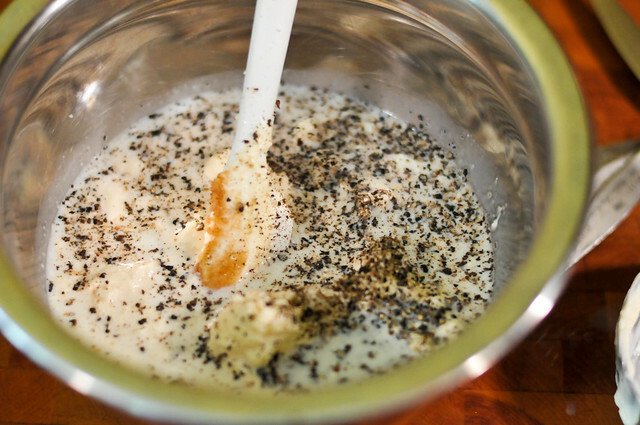 To make the dressing: whisk 1 1/2 cups milk, 1 cup mayo, sugar, 1/2 teaspoon salt, and 2 teaspoons pepper in medium bowl. Bring 4 quarts water to boil in large pot. Add 1 tablespoon salt and pasta and cook until very soft, about 15 minutes. Drain pasta and return to pot. Add vinegar and toss until absorbed. Cool pasta 10 minutes, then stir in dressing until pasta is well coated. Cool completely. Add scallions, carrot, celery, remaining milk, and remaining mayo to pot with pasta mixture and stir to combine. Season with salt and pepper. Transfer to large serving bowl and refrigerate, covered, for at least one hour or up to two days. Serve. 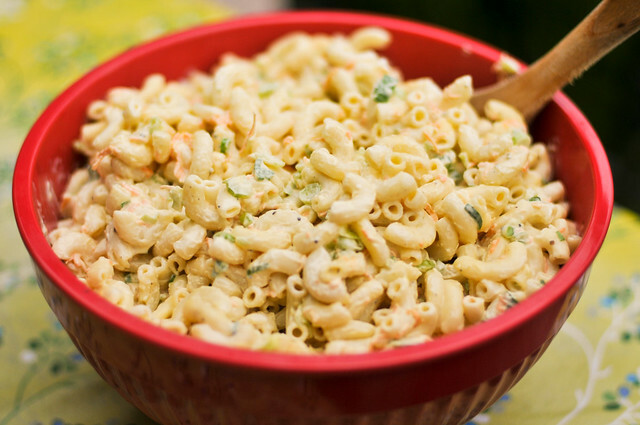 Many crimes against humanity have been inflicted by bad macaroni salad at picnics, church gatherings, and cookouts so your distrust of them is warranted, lol. Oh my ,, this is YUMMY! I made this and my family loved it!!! I did not change anything in the recipe. It taste just like the mac salad we used to get in plate lunches. Thanks for putting this up!! @terri Glad you liked it! I made it for a potluck over Christmas and it was hit there as well. I actually put Spam in it and served it as a main dish for a weeknight summer meal the whole family loved it! 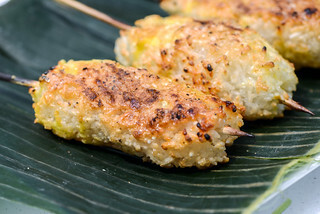 I have been looking for a comparable recipe to my local Hawai'ian place. This is pretty close! Thank you so much! They charge $2 for about 3 ounces and this is so much more affordable. This was great... Did dr up a little.. I personally would liked to have had a little creamier. But still yummy! What is the caloric count of Hawaian Macaronli Salad? I made half a recipe and it filled a large mixing bowl - your recipe must fill a plastic dishpan - if anyone has such a tub today. Don't you think you should warn us of the quantity made by your recipes? 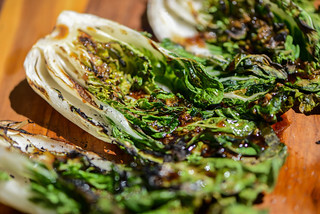 An inexperienced cook could be saddled with salad enough for 20 people. Please email me comments to this post. ( I could n't get you check box to check. @mary Ann Can't tell you the caloric count, but the recipe states this makes 8-10 servings at the top. Can I make the dressing in advanced so that the mac salad may be put together the following day? @Adam Yup, that should work out fine. Can white vinegar be used instead of the apple cider vinegar? @Andromeda White vinegar may be a bit harsh, I'd try rice vinegar instead. In my family, we also used a liiiiittle bit of french's yellow classic mustard and half and half instead of milk I. The dressing. Also for the add ins we use tuna and boiled egg whites (no yolks). 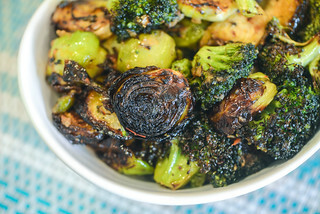 I had to be the uncultured person who didn't make this recipe in my family. Now that my dad and grandparents are gone, it's my obligation to make it at least once for my kids. Wish me luck! Makin Hong Kong wings on the grill and this salad is chilling in the fridge just waiting to be consumed. I snagged a bite and it's delicious! My boys are gonna love it! add a bit more brown sugar to make it taste better!